The Imperial Province is one of the nine provinces you can visit in Arena. Unlike the others, the Imperial Province does not have a native race and it contains only one location: the Imperial City. It borders six other provinces: Skyrim to the north, Morrowind to the northeast, Black Marsh to the southeast, Elsweyr to the south, Valenwood to the southwest, and Hammerfell to the northwest. 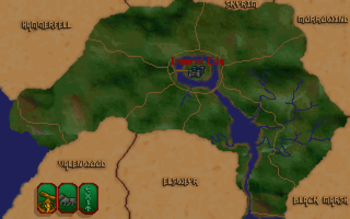 There is a road circling the Imperial City with connecting roads leading to each of these, along with a road connecting Hammerfell to Valenwood. The Imperial City is always labeled when you zoom in on the province. This page was last modified on 11 February 2019, at 00:29.